It’s all very well talking about the evolution of wearable computing and the internet of things, but something has to power these thin and/or tiny devices. For that reason, it’s a good thing that so many ideas are popping up in the field of energy harvesting and storage. 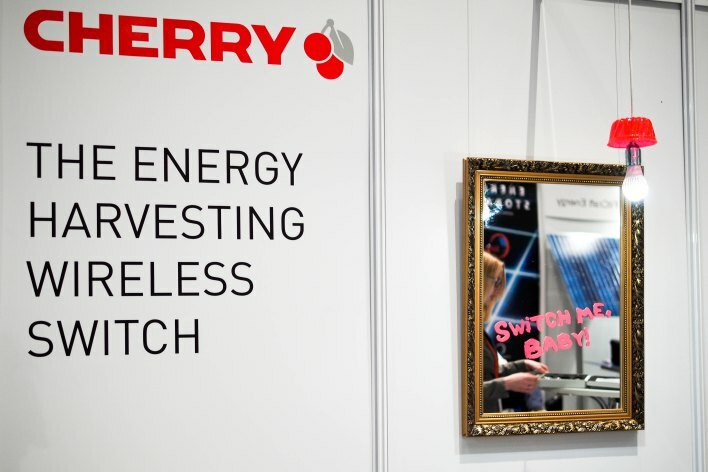 Some of these ideas were on display this week at the Printed Electronics Europe 2013 event in Berlin, which took in a variety of sub-events including the Energy Harvesting & Storage Europe show. The concepts ranged from the practical to the experimental, so let’s start with the practical. Here’s Perpetuum‘s Vibration Energy Harvester (VEH), being carried around (appropriately) on a model train. 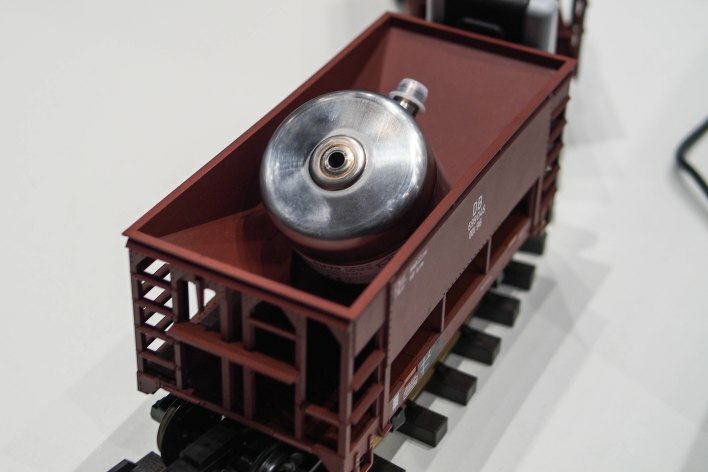 The VEH is a wireless sensor that gets attached to rotating components, such as wheel bearings, on trains. Cleverly, the device both measures and is powered by mechanical vibration. It also measures temperature, and it wirelessly transmits the results to the train’s operator so they can immediately spot a failure in its early stages. E' molto bello parlare dell'evoluzione dei dispositivi indossabili e dell'internet delle cose, ma in qualche modo dovremo pur alimentare questi piccoli dispositivi. Per questo motivo è buona cosa il fatto che stiano spuntando molte idee nel campo della raccolta e stoccaggio di energia. Alcune di queste idee sono state mostrate questa settimana all'evento Printed Electronics Europe 2013 a Berlino, dove hanno avuto luogo una serie di sotto-eventi tra cui lo show "Energy Harvesting & Storage Europe" . I concetti andavano dal pratico allo sperimentale, quindi cominciamo con la pratica. Ecco di Perpetuum Vibration Energy Harvester (VEH), che viene portato in giro (opportunamente) su un modello di treno. Il VEH è un sensore wireless che si attacca a componenti rotanti, come cuscinetti, sui treni. Intelligentemente, il dispositivo misura e viene alimentato dalle vibrazioni meccaniche. Misura anche la temperatura, e trasmette in modalità wireless i risultati per operatore del treno in modo da poter individuare immediatamente un guasto nelle sue fasi iniziali.